31.03.2014. 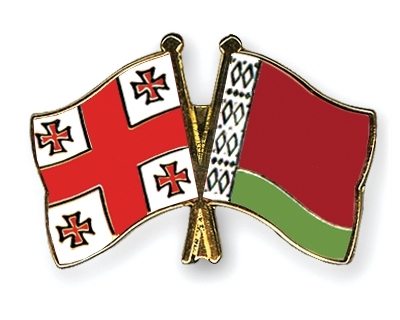 There are interruptions in the export of wine from Georgia to Belarus, although formally the export is not stopped. 29.03.2014. This morning, the 6th Annual International Wine Tourism Conference was opened by Anthony Swift, IWINETC Director and Shalva Pipia, Minister of Agriculture of Georgia to welcome everyone attending the 2-day conference in the packed ballroom of Tbilisi Marriott Hotel. 29.03.2014 (Hvino News). Geostat informs that in January-February 2014 export wines of natural grapes with $32 million value have been exported from Georgia. It is 4 times more than in the same period of last year. According to data of National Wine Agency, in 2 months of the year 9 990 387 bottles of wine have been exported. 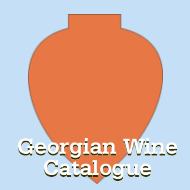 Top-5 list of Georgian wine's export market looks like following: Russia, Ukraine, Kazakhstan, Poland and Latvia. Russia is a leader with 68% share. Motorcars remain number first export product of Georgia with $77 million and 18% of the total export. Compared to the same period of last year, motorcars export has reduced by $5,4 million. Ferric alloys rank second with export of $57 million ($10,7 million more than in January-February 2013). 29.03.2014. 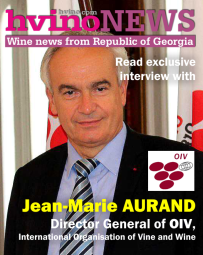 Levan Davitashvili, Chairman of the National Wine Agency, says the import of Georgian wine has not been suspended in Belarus, though there are some obstacles. According to him, negotiations have already been launched with regard to the obstacles. ‘In Belarus wine import has not been banned. There are some obstacles related to specific procedures with regard to wine importers. Georgia exported more that million and a half bottles of wine in 2013. A week ago the Belarusian delegation was in Tbilisi and the issue of obstacles was discussed with them. 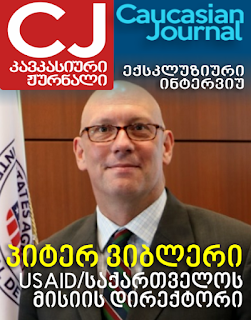 In a week the Georgian delegation will visit Belarus and I hope this issue will be decided at the governmental level and the obstacles will be soon taken away’, Levan Davitashvili said. Information about suspension of the import of Georgian wine in Belarus was spread by local media. 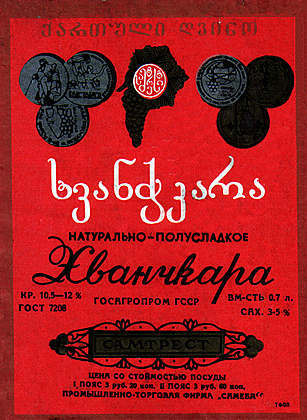 They said Georgian wine had been gradually disappearing in shops, markets and even in special alcohol shops. 27.03.2014. Promotion of Georgian grape varieties in the US is associated with the name of Konstantin Frank of German origin, who obtained his Ph.D. in viticulture and wine-making from Odessa Polytechnic University, later worked in Georgia (most likely in Samtrest and its vineyards) and left for the United States in the beginning of the 50-s.
After arriving in the US, Dr. Frank worked at the agricultural experiment nursery of Cornell University, NY, and then consulted for one of the wineries in the area. Since 1962 he founded his own wine company, where he started planting of the European vitis vinifera grape varieties, including Rkatsiteli and Saperavi. 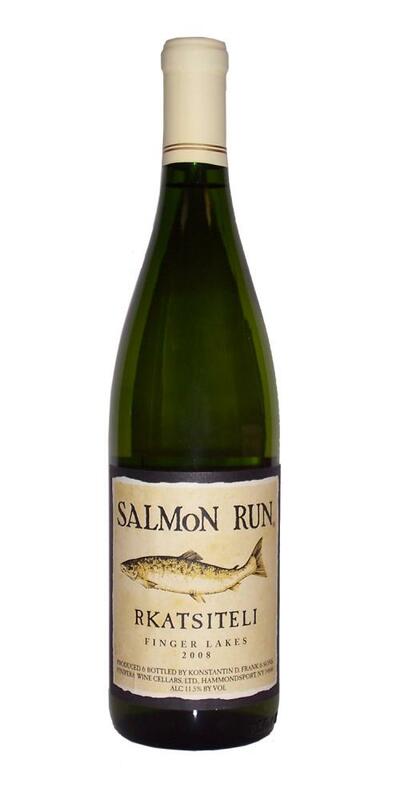 Throughout his career, Dr. Frank tried to prove that the high quality grapes could be grown on the East Coast of America, even under the strict climate conditions of the Finger Lakes AVA of New York. His grandson – Frederic Frank – current owner of the wine company notes that his grandfather was convinced of the potential to grow Saperavi and Rkatsiteli. 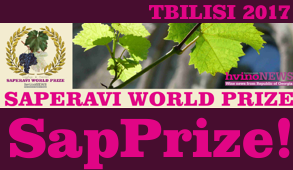 At the moment Vinifera Wine Cellars owns up to 4 hectares of Rkatsiteli and 0.5 hectares of Saperavi vineyards. 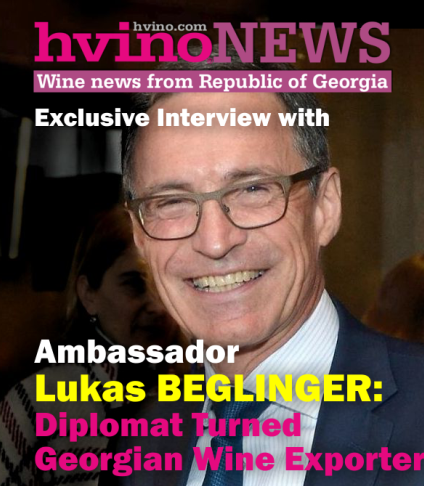 Hvino.com, Georgia’s business news and information portal specializing in wine industry and tourism, has recently started the first online Georgian Wine Catalogue. 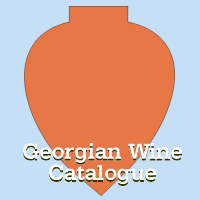 Georgian Wine Catalogue is a buying guide targeted at international audience interested in Georgian products, which provides independent rating of Georgian wines. 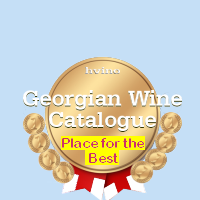 Currently the Catalogue lists all the Georgian wines, which either have won gold medals at the world’s largest international contests, or have been rated by leading international wine rating institutions. On April 1 the Catalogue will be officially opened to general public. The source HTML codes for your websites can be found at http://cat.hvino.com/p/options.html. Cat.Hvino (at) artenom-cfe.com. This service is FREE. More designs will be added soon. 26.03.2014. German wine enthusiasts are enjoying the unique taste of Georgian wine at the ProWein International Trade Fair for Wines and Spirits. Sixteen Georgian Wine companies participated in the March 23-25 event, which boasted more than 4,500 exhibitors from 48 countries. The ProWein fair in Dusseldorf, Germany, is one of largest wine fairs in Europe as it gathers winegrowers, winemakers and trade professionals from around the world. The fair is an important event for Georgian wine producers to showcase their local brews and to establish new contacts, find potential customers and learn about the latest technologies and services. Attending and being involved in the fair is also an important marketing opportunity where negotiations are held between exporters and distribution companies. Two Western Georgian wine tastings turn into "supras"
A supra is an important event in Georgia. It combines food, wine and people. The leader of a supra is a tamada. The tamada makes toasts, then everyone drinks. A tamada is not resigned to just one toast, but may make several toasts. Our last two wine tastings in Western Georgia turned into supras. Our tasting at Dadiani Old Cellar in Salkhino consisted on two wines and chacha. The wines were a 2012 and 2013 Ojaleshi. This winery is run by Orthodox monks. During the tasting there were several toasts made. As soon as your clay vessel ran low on wine, it was filled. 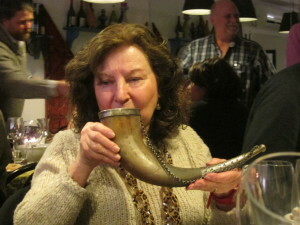 There was a small qvevri in the center of the table, so an abundance of wine was available to drink. Different foods were set on the table. We toasted God, the visitors, love among others. Conversation flowed even though Georgian had to be translated. Wine, food and friends is a magical combination. Our next day we visited Lado Shavishili’s Wine Cellar in Keda. Lado conducted our tasting in the tasting room. Afterwards he asked which wines we enjoyed the most. He took those wines and chacha and proceeded to an outdoor table area that was set up for a Supra. Lado’s wife brought several plates of food for us to sample while he kept our wine glasses full. Lado started the supra with a toast to God. We then drank chacha and Lado confirmed that the men were drinking chacha correctly while the women needed to work on there chacha drinking skills. 25.02.2013. Chairman of the National Service for Intellectual Property and Innovation of Kyrgyzstan (Kyrgyzpatent) Marat Nazarbekov met with Georgian Ambassador Zurab Pataradze, the press service of the agency reported. The sides discussed issues of cooperation between Kyrgyzstan and Georgia in the field of intellectual property, as well as the use of Georgian brands of “Kindzmarauli” and “Khvanchkara” by Kyrgyz wine producers. 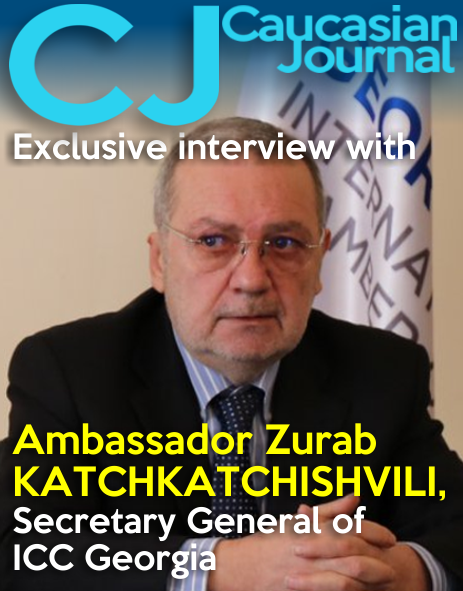 The Ambassador, in particular, said that Kyrgyzstan sells fake Georgian wine products. Marat Nazarbekov explained that these wine names have not been registered at Kyrgyzpatent and asked the Ambassador to notify the rights holders to apply for registration as soon as possible to ensure relevant protection in Kyrgyzstan. The sides also agreed to continue close cooperation to prevent the spread of counterfeit wine production. Does Georgian wine face threats in Ukraine?